into hydrogen research where I was building small electrolyzer type units that used distilled water mixed with an electrolyte and I would resonate the plates for optimal conversion efficiency. I discovered that with the right frequencies, I was able to generate monoatomic hydrogen and oxygen, which when recombined, produces about 4 times the energy output of normal diatomic hydrogen and oxygen molecules since the process of combustion does not have to break apart the molecules first before recombining into water vapor. Diatomic hydrogen requires about 4% to air to produce the same power as gasoline, while monoatomic requires slightly less than 1% to air for the same power. The only drawback was storage at pressure causes the monoatoms to start joining into diatomic pairs, and the mixture weakens, so it must be produced on-demand and consumed right away. I used modified LP carbs on the boat engines to deal with using vapor fuel. I even converted an old chrysler with a slant six engine to run on the hydrogen setup and we tested it in the shop. It requires a lot of plates made of 316 stainless so it will withstand the more exotic electrolytes that are more efficient, a plastic box to contain the plates, 1/8″ spacers to keep the rows of plates apart, the electrolyte, and an adjustable frequency modified psuedo-sinewave inverter can be used for the drive electronics. I used 61 of the 6″ square plates to give a large surface area and scoured the surfaces with coarse sandpaper in an “X” pattern to give a fine crosshatch grain to add fine sharp points. I found this improved efficiency as well. The top of the box had two threaded ports, a small one for injecting replacement distilled water, and a larger one for extracting the vapor. Under the top cover sitting on top of the plates I cut a piece of plastic matting to prevent sloshing. It’s very important to keep the total electrolyte level at or below the tops of the plates to prevent voltage from bypassing any cells and creating excessive water vapor. I placed a 5 PSI cutoff switch in a tee on the water injection port that shut the drive electronics down when the pressure in the unit hit 5 PSI. This allowed the unit to be able to supply on demand without building up too much pressure in low demand situations. I built a bubbler from a large home cartridge type water filter housing to prevent any backfire from traveling back up the fuel feed to the unit. Without some sort of bubbler you run the risk of the unit exploding if a flame front from the engine flows back to it. I have seen copper mesh screens designed for welding gasses offered for use on plans I seen years later online for similar devices, but hydrogen has a much higher flame propagation speed so the copper mesh may not be reliable enough to risk using. Place the unit close to the engine to limit the amount of monoatom loss to diatomic recombination and feed the fuel vapor to the vapor portion of an LP carb system. The carb will have to be modified for hydrogen use (different mixture rate than propane) and adjusted with the system running for best performance. The best electrolytes I found to use were sodium hydroxide and potassium hydroxide. While sodium hydroxide works well, it’s much easier to get (red devil lye in most department stores) than the much harder to get but slightly more efficient potassium hydroxide. Whatever you do, be very careful of materials! Make absolutely sure they are compatible with the electrolyte used. Never use glass containers for mixing or storing potassium hydroxide! I was too tired to respond last night when I first read that, but it did make me chuckle. It doesn’t bother me in the least, especially when it’s from someone that makes it their lifes work to be a detractor against anything and everything different. I stopped going to most of the public forums because of people like that trying to egg me on. To group me in with people that were, or are, out to run cars on water, is actually kinda funny, because that was never my goal at all. My goal never was to seek publicity or fame, far from it, I wanted to be left alone. Now, I just want to try to educate people on the benefits of properly constructed series cells, and how to properly condition to get an efficient catalytic reaction. Let these people take what they learn and apply it in their own ways. I did run an older carburated car, but it was as a test jig, up on jack stands, not driving on the road. I regretted moving to that phase ever since. While I was running those small marine race engines on straight DC series cells, I never had any problems with outside interference. Nobody seemed to care. It wasn’t until after I discovered the resonance reaction by accident, then started the resonance research on the car engine, that someone apparently took a keen interest in what I was doing. Maybe some day, the resonant reaction effect will be fully understood. Until then, more research still needs to be done to continue to improve upon the hardware to make the reaction more predictable and stable. I am working towards continuing that research. When I discovered the resonance reaction, I was running a pair of small water-jet powered race boats off of hydroxy on demand systems. Both boats had identical systems, which were comprised of 2 pairs of 6-cell stacks. Both used a pair of dedicated propane carbs with 1″ vapor fuel lines coming from the bubblers. 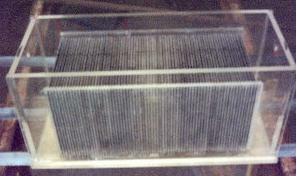 Each cell in the stack was 4 parallel cells containing 3 cathode plates and 2 anode plates, with 1/8″ (3 mm) spacing. The cell stacks were 18″ square, so plate surface are for these was massive. It was essentially a brute force system, although I was taking advantage of the series cell and the efficiency boost of the catalytic electrolyte. I had discovered this design in my attempts to improve efficiency of the basic electrolyser, and it turned out to be much more efficient than the electrolysers of the day in all of the literature I could find in the libraries. I had modified the battery system to use marine deep cycle batteries, with a heavy solenoid to engage and disengage power to each unit. Power draw for each on a full charge was about 350 amps at the 12 volts. Battery run time needed was only in the minutes, so I just changed batteries before each heat, and kept batteries on charge during the event. The resonance effect happened when the alternator on one of these marine engines failed (rectifier shorted),and superimposed an AC waveform onto the DC power bus. The effect was limited to a particular RPM range, and was as if someone kicked in an afterburner, it made such a difference in engine horsepower. After identifying the cause of this unusual burst of horsepower, I set out to find ways to intentionally create this reaction. The rest is history as they say. The auto engine I ran was using a 60 series cell unit operating from a resonance generator and driver. At resonance, it took about 55-60 watts to generate enough hydroxy gas to just idle the engine, and about 160 watts to run the engine where the speedometer read 60 MPH in gear. This was with the car rear end up on jack stands, so no vehicle load at all on the engine. The engine was a chrysler 170 CID slant six (inline 6 cylinder) lean burn system with a carb and a distributor type ignition. I used a propane adapter plate on that engine to adapt it to vapor fuel. In answer to the question on gas volume, yes, the volume increased dramatically during resonance, while current draw went way down. I think the limiting factor on those early 60 cell designs was the amount of gas that could evolve out of solution and come out of the chamber given the plate area being blocked by the bubbles. It was as if the water was boiling during resonance, and the bubbles came out of solution, not just at the plate surfaces. I endeavored to find solutions to stabilize and further improve reaction efficiency. Unfortunately, I was unable to continue my research after it was so rudely interrupted. I tried straight AC, but that seemed to destroy the catalytic surface layers on conditioned plates. Using AC to condition produced no catalytic layer at all. It did not seem to work well for regular electrolysis as well. I did not exhaust all possibilities of course, but I did try enough to discourage me from heading in that direction. A system for high-efficiency electrolysis that involves the alleged production of monatomic hydrogen, which has highly unusual and effective properties in accentuating mileage. Bob Boyce was winning races in mini power boats down in Florida, using Hydrogen for fuel. … One day he started noticing that at a certain RPM his power kicked up suddenly; as though he had a nitro boost or something. … It turned out that one of the diodes in his Alternator had failed and was pumping an AC into his electrolyzer. When that certain rpm was reached the output from the electrolyzer suddenly increased. … he found that when the frequencies kicked in he was producing much more monatomic hydrogen. He went on to perfect his electrolysis to the point that it generates a large volume of gas and mostly monatomic hydrogen. 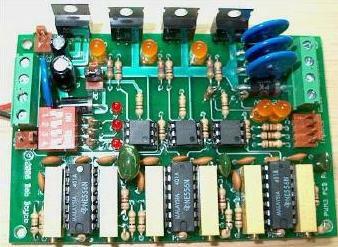 … he makes his own PWM3 Controller for Hydroxy torches and gensets. They aren’t for sale but you can find the info in files on the Web. The controller uses three 556 Dual 555 timers. Each dual uses one 555 for pulse width and the other for frequency, generating 42,800; 21,400; and 10,700 cps respectively. These frequencies drive the 25% modulation on top of the pulsed DC carrier “bias” current. The DC Bias voltage is input at the Toroidal Transformer’s inputs which gets filtered into DC before reaching the plates of his electrolyzer with the AC Voltage riding on it. … Bob says this causes a magnetic circuit through the center of the plates in the electrolyzer. The result of all these refinements is that when the water is split, the bias voltage keeps it from recombining, and H molecules have plenty of electrons to absorb, preventing the two Hs from joining. Thus the extra large volume of monatomic Hydrogen molecules. … The 6″x6″ Plates are spaced 3mm apart exactly and sealed on the sides and bottom. Water levels must be maintained in each cell. Bob’s has a supply pipe with holes drilled along it for each cell. … Bob says, you will get another area of separation in the water between the cells as well as on the plates. … Mr. Boyce is a true humanitarian and has placed his system in the public domain in the hopes of helping the planet reverse global warming, end oil wars, and deliver free energy to the poor peoples of the world. Water IS life… and so much more… So, why all of the excitment about common H2O? Water is the glue that bonds all of life together. Without it we would not exist. With it, not only do we survive, but we may have a solution to our growing global energy problem. How so you may ask? Water can be transformed into a perfect energy supply. It is abundant, non-polluting, and eternal in nature. You split it efficiently and combust it efficiently. After harvesting that released energy, you again have H2O as the by-product. Hard to beat! Will the greed of big oil and big business ever be satisfied enough that they can stop destroying this planet? I seriously doubt it. There is energy aplenty in the wind, the sun, in flowing rivers and waterfalls… Even in a cup of water, latent there, just waiting for the adventurous… Go for it! # Short extracts: Bob boyce is easily the most experienced and knowledgeable series-cell designer. He achieves a massively increased gas production rate by using an electrolyser with a large number of cells in it. Bod uses one hundred cells (101 plates) in his electrolyser. Units with just 60 cells are inclined more to brute-force DC electrolysis, tending to mask the gains produced by pulsing. As there is a voltage drop across each stainless steel electrode plate, it is usual to allow about 2 volts across each cell. However, Bob finds that for high-efficiency pulsing, the optimum voltage per cell is about 1.5 volts. This means that a voltage of about 1.5 x 100 = 150 volts is needed to power its to its maximum output. To get this higher voltage, Bob uses a 110 Volt inverter…. The output from the inverter is converted from Alternating Current to pulsing Direct Current by passing the output through a 4 diodes bridge rectifier. … An electrolyser with a hundred cells, built in this style will have 101 metal plates and 10 separate bodies of electrolyte. In spite of these large numbers, the size of the overall unit does not have to be excessive. The spacing between the plates is set to, say, 3mm (1/8 inch) and the plate thickness might be 16 gauge (0.7 to 1 mm), so the width of any cell is not great, being roughly the same size as a vehicle battery. The size of the plates may be determined by the space available in the engine compartment. It there is a large amount of spare space, then the plate size may be selected by allowing from two to four square inches of area on both sides of each plate, per ampere of current. Each side of every plate is in a different electrolysis cell so a 6 inch by 6 inch plate will have 36 square inches on each face and so would carry between 36/4 = 9 to 18 amps of current. The choice of current density is made by the builder of the electrolyser and it will be influenced by the size and cost of the inverter chosen to drive the electrolyser and the allowable current draw from the battery. A 600 watt electrolyser would have an absolute maximum output current capacity of 600W/ 110V= 5.45 Amps. The inverter will run much better if not used at its maximum load all the time, so perhaps a current of 4 Am;s might be used as the target current. At four square inches per Amp, that indicates a plate area of 16 square inches (103 square centimetres), say 5″ x 3.5″ for the part of hte plate below the surface of the electrolyte. As the plates need to project above the surface of the electrolyte, a plate size of 5″ x 4.5″ (125mm x 115mm) would be practical. The one way valve shown between the two bubblers, is to prevent the water in the bubbler mounted beside the electrolyser, being driven into the electrolyser in the event of an explosion in the bubbler mounted beside the engine. The overall operation of this style of electrolyser is very much like taking gas from a pressurised cylinder via a pressure-regulator valve. The electrolyser has a pressure switch disconnects the electrical supply from the electrolyser when the gas pressure in the electrolyser reaches five pounds per square inch: see diagram. … The preparation of the plates is one most important steps in producing an electrolyser which works well. This is a long task, but it is vital that it is not skimped or hurried in any way. Surprisingly, brand new shiny stainless steel is not particularly suitable for use in an electrolyser and it needs to receive careful treatment and preparation before it will produce the expected level of gas output. The first step is to treat both surfaces of every plate to encourage gas bubbles to break away from the surface of the plate. This could be done by grit blasting, but if that method is chosen, great care must be taken that the grit used does not contaminate the plates. Stainless steel plates are not cheap and if you get grit blasting wrong, then the plates will be useless as far as electrolysis is concerned. A safe method which Bob much prefers is to score the plate surface with coarse sandpaper. This is done in two different directions to produce a cross-hatch pattern. This produces microscopic sharp peaks and valleys on the surface of the plate and those sharp points and ridges are ideal for helping bubbles to form and break free of the plate. See drawings. Bob uses a 6 inch x 48 inch belt sander which is great for preparing the plates and the uses it all the time now with 60 or 80 grit. Always wear rubber gloves when handling the plates to avoid getting finger marks on the plates. Wearing these gloves is very important as the plates must be kept as clean and as grease-free as possible, ready for the next stages of their preparation. Any particles created by the sanding process should now be washed off the plates. This can be done with clean tap water (not city water though, due to all the chlorine and other chemicals added), but only use distilled water for the final rinse. A point which is often missed by people constructing electrolysers is the fact that electrolysis is not just an electrical process, but it is also a magnetic process. It is important for maximum operating efficiency that the plates are aligned magnetically. This will not be the case when the plates arrive from the supplier as each plaate will have random magnetic characteristics. The easiest way to deal with this situation is to give the plates a mild magnetic orientation. This can be done quite simply by wrapping a few turns of wire around the stack of plates and passing some brief pulses of DC current through the wire. Obviously, the plates need to be kept in the same direction when being slotted into the case. The next step in the preparation process is to make up a weak solution of potassium hydroxide. This is done by adding small amounts of the potassium hydroxide to water held in a container. The container must not be glass as that is not a suitable material in which to mix the electrolyte. Plate Cleansing: Prepare a 5% to 10% (by weigth) KOH solution and let it cool down. As mentioned before, never handle the plates with your bare hands, but always use clean rubber gloves. Put the sanded and rinses plates into the slots in the electrolyser case, keeping them all the same way round so that they remain magnetically matched. Fill the elctrolyser with the KOH solution until the plates are just covered. A voltage is now applied across the whole set of plates by attaching the leads to the outermist two plates. This voltage should be at least 2 volts per cell, but it should not exceed 2.5 volts per cell. Maintain this voltage across the set of plates for several hours at a time. The current is likely to be 4 amps or more. As this process continues, the boiling action will loosen particles from the pores and surfaces of the metal. This process produces hydroxy gas, so it is very important that the gas is not allowed to collect anywhere indoors (such as on ceilings). A fter several hours, disconnect the electrical supply and pour the electrolyte solution into a container. Rinse out the cells thoroughly with distilled water. Filter the dilute KOH solution through paper towels or coffee filters to remove the particles. Pour the dilute solution back into the electrolyser and repeat this cleaning process. You may have to repeat the electrolysis and rising process many times before the plates stop putting out particles into the solution. If you wish, you can use a new KOH solution each time you cleanse, but please realise that you can go through a lot of solution just in this cleaning stage if you choose to do it that way. When cleansing is finished (typically 3 days of cleansing), do a final rinse with clean distilled water. # Plate Conditioning: Using the same concentration of solution as in cleansing, fill the electrolyser with dilute solution up to 1/2″ below the tops of the plates. Do not overfill the cells. Apply about 2 volts per cell and allow the unit to run. Remember that very good ventilation is essential during this process. The cells may overflow, but this is ok for now. As water is consumed, the levels will drop. Once the cells stabilise with the liquid level at the plate tops or just below, monitor the current draw. If the current draw is fairly stable, continue with this conditioning phase continuously for two to three days, adding just enough distilled water to replace what is consumed. If the solution changes colour or develops a layer of crud on the surface of the electrolyte, then the cell stack needs more cleansing stages. Do not allow the cells to overfill and overflow at this point. After two to three days of run time, pour out the dilute KOH solution and rinse out the electrolyser thoroughly with distilled water. Simple electronics procide the answer to sensing the level of the electrolyte, and a windscreen-washer water pump can be used to inject the additional water. … Also Bob recommends cutting the slots which hold the plates, 3 thousands of an inch (0.003″ or 0.075mm) larger than the actual thickness of the metal plates. This effectively blocks electrical leakage between adjacent cells but does allow a very gradual migration of water between the cells to help maintain an evan water surface across the cell. The water-level sensor can be just one stiff stainless steel wire run down each side of any cell. These wires should be insulated to make sure that they do not short-circuit to either (or both) of the plates on each side of them. They should be set so that their tips are at the intended surface level of the electrolyte. When the level of the electrolyte falls, the sensor wires come clear of the liquid and the voltage at point ‘A’ rises. Provided that this situation remains for a second or two, capacitor C2 charges up and the voltage on the base of transistor Tr1 rises, causing it to switch on. Transistors Tr1 and Tr2 are wired as a Schmitt trigger, so transistor Tr2 changes state rapidly, raising the voltage at its collector, and causing transistor Tr3 to power the relay on. The relay contacts switch the water pump on, which raises the level of the electrolyte until it reaches the sensor wires again. This flips the circuit back into its standby state, powering down the water pump. Resistor R1 feeds capacitor C1 to reduce the effects of variations of voltage reaching the sensor circuit. The components shown here are not critical and there must be at least twenty alternative designs for this circuit. A possible physical layout for this circuit is shown here: See printable diagrams on original pdf file. With an electrolyser of this kind, with narrow gaps between sizeable plates, shifting bubbles off the plates is important. An importnat technique is to alter the frequency of the inverter so that it makes the cell resonate. This can be done fairly easily with many inverters as all it entails is replacing one capacitor with one of a lower value and relacing one resistor with a variable resistor. Bob Boyce found that the rate of electrolysis increased considerably when the cell was resonated, and the frequency of HIS cell was in the 600 to 900 Hz range. If you find this hard to understand, then may I suggest that you read through the step by step electronics tutorials which accompany this document. They are designed to be easy for a total beginner to understand and can take you to the level where you can read circuit diagrams, design and guild prototypes. # Customs Electronics: THe objective is to run a vehicle engine with water as the only fuel. This is not an easy thing to do as the volume of gas needed is very high indeed, especially since internal combustion engines have an efficiency in the range of 25% to 40% typically. Also, in America, vehicle engine sizes have grown and grown with mpg figures, dropping and dropping. One Japanese inventor has just been granted a license to test out his new design of engine on public roads in Japan. His method is to use a tank of compressed hydrogen gas and a tank of water. The hydrogen is injected into the cylinder and ignited. At the moment of ignition, a fine spray of tiny water dropplets is injected into the cylinder. The heat of the ignited hydrogen, converts the water droplets instantly into ‘flash steam’ with a much larger volume, and the pressure of the steam drives the piston down on it’s power stroke. While that system is very effective, allowing high speed driving and considerable range on one tank of hydrogen gas, it is not a true Hydrogen-On-Demand system where water is the only fuel. Michael Farady investigated electrolysis and established the facts and figures for straight DC electrolysis of water. While his meticulous work is to be admired, his results have led to a misconception on the part of the engineers of today. They look at Faraday’s results, and conclude that it is physically impossible to run a car on water alone as it would take too much current to produce the necessary amount of electrolysis gas to power the engine. That is perfectly true if the electrolysis is done the way Faraday did it. It is not true if other methods are used. Bob Boyce used to race power boats in competitions. He charged lead-acid batteries in his workshop, and then used heavy current from the batteries to produce large amounts of hydrogen in his boats, producing high speed performance, running his engines on the hydrogen/oxygen gas mix produced by electrolysis of water. That was not Hydrogen-On-Demand as the batteries were charged on land in the periods in-between the heats in the races. One day Bob discovered that his system was giving much higher power, boosting the boat performance in a most satisfactory way. On investigation he discovered that one of the diodes in his equipment had failed and that fed a very jagged voltage waveform to his electrolyser. This had two effects. Firstly, the volume of gas produced was increased. Secondly, the nature of the gas was different. With normal DC electrolysis powered by an ordinary car battery, the hydrogen gas produced was mainly in the form of two linked hydrogen atoms, called ‘diatomic’ hydrogen. With his jagged waveform, a good deal of the hydrogen produced was in separate single hydrogen atoms, called ‘monatomic’ hydrogen, and that form of hydrogen produces far more power when burnt. Clearly, Bob was onto a good thing, so he investigated it further. He modified his system and built a cell as described above, with dozens of plates. This needed a higher voltage to operate, so Bob used a standard ‘inverter’ which is a battery powered device which generates an imitation of mains voltage and wavefoem. Bob modified the inverter, raising the rate at which it operated from 60 cycles per second to an adjustable range in the 600 to 800 cycles per second region. He also used some diodes to convert the output of the inverted from Alternating Current to Direct Current pulses of about 150 Volts. This was such a success that Bob was able to run his car on the electrolysis gas produced by the electrical power from the car’s own alternator. He jacked the wheels clear of the floor and ran the engine in gear with the speedometer showing 60 mph for extended periods. That was a practical example of what most engineers, even today, believe is impossible. It is quite clear from this, that Faraday’s excellent work does not cover every method of separating water into a mixture of gases, and that a very much higher volume of gas can be released if Faraday’s DC current is replaced by a complex pulsed DC waveform. Bob also points out that his 316-grade stainless steel electrodes contain both molybdenum and nickel which act as catalysts which promote the breakdown of water into gases. Bob has further advanced his electrolysis system and has very kindly freely shared his development in the form of an open-source public disclosure, which he has no intention of patenting and which he wishes to prevent others from patenting by his prior public disclosure of the information. So, please note that Bob publicly disclosed this information early in 2006 and any subsequent patent of it will be wholly ineffective as it cannot be enforced due to prior public disclosure. Because both the oscillator frequency and the gating frequency are variable for each of the three oscillators, the resulting output waveform can have many different shapes, most of which will have a rolling cyclic repeating pattern. The summation and driver section could have many different implementations. Bob has chosen to opt for the same method as Stan Meyer used, where the signal power level is boosted by an FET transistor stage and then a torroidal transformer is used to integrate the signals. It should be remarked here, that if a transformer is used, then with frequencies as high as these, the transformer core cannot be made from iron laminations in the same way that mains transformers are constructed. That style of construction is good for the low mains frequency of 50Hz or 60Hz, but the core (the transformer ‘yoke’) cannot handle high frequencies. Stan Meyer used a torroidal ferrite ring for his transformer. Bob aims at having the complex signal from his generator added to the DC current through his cell with the signal set at about 25% of the DC voltage. Of these, option 1 is not attractive in that it requires a blocking capacitor to avoid the secondary of the transformer from placing an unnecessary heavy load on the battery. Options 2 and 3 are very similar with not much to choose between them. In either of these cases, the secondary windings needs to be heavy-duty wire to carry the cell current, which in Bob’s case will be anything from ten to thirty amps. Also, to avoid building up too much resistance in the secondary, the number of turns will not be fery great. The number of turns in the windings of the three primaries will then be adjusted to give the suggested 25% ripple on the DC standing component. If that should produce winding with ineffectively few turns, then the number of turns should be increased to a reasonable level and the magnitude of the signal powering those windings reduced electronically to the required level. A possible alternative would be to have just one primary winding, and sum the three input signals electronically before driving the primary. This can be done quite easily by applying the three signal inputs via three resistors, to the gate of the driving FET transistor, and placing the primary winding as the load of that FET. For the moment, we will stick with the solution used by Stan and Bob, and assume that three primary windings will be used. The primary of the transformer is 3-phase, while the secondary is single-phase. Basic transformer knowledge will go a long way in calculating the turns ratio and wire size needed for a particular cell stack. Regular electronics and transformer guys may scratch their heads wondering how it can be possible work … Ignore the ‘it can’t possibly work like that’ reaction and just do it, the results are well worth it. The transformer design depends on the cell curent and cell voltage. The cell durrent is determined by the concentration of the electrolyte and to a lesser extent, the plate area, while the cell voltage is determined by the number of plates in the cell. Bob cleans and conditions each electrolyser for several days using heavy DC current and then measures the cell current and voltage for optimum performance. He then uses these figures to calculate the wire diameters and number of turns for the transformer. He uses military-grade teflon covered silver-coated copper wire for the windings. The covering of any wire has a major effect on its capacity to carry current as nearly all of the current flows between the insulation and the outer surface of the wire. 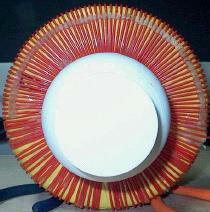 The primaries are usually wound from 20 AWG (21SWG) wire and the secondary from 16 AWG (18 SWG). Bob Boyce has very kindly, freely shared his board design for anybody to build and use. His design is described here with his kind permission. This unit is built on a double-sided printed circuit board, where the connectins to some components are made on the top of the board while other components are soldered to the tracks on the underside of the board. See all necessary diagrams and component lists in the pdf file. This circuit operates by adding the outputs from three separate oscillators together to form a complex waveform. Each oscillator can also have its Mark/Space (ON/OFF) Ratio adjusted without altering the frequency of the oscillator. The timing circuit is powered via an 8 volt voltage stabiliser chip which smoothes out any variations in the battery’s supply voltage. Each generated signal is boosted in power by an FET transistor whose load goes directly to the battery/alternator power line. The output from each ascillator can be switched in or out of the final waveform: see diagram. The electrolyser runs with a Potassium Hydroxide electrolyte and it should be remembered that the Potassium Hydroxide is only a catalyst and does not get consumed in the process, consequently, the electrolyser gets topped up with plain water. Bob uses two bubblers. One is located close to the electrolyzer and the other close to the engine. The first one traps any KOH vapour which comes out of the cell while the second one protects against any accidental backfire (assisted by one one-way valve between the two bubblers). Bob pours the water in the first bubbler, back into the cell from time to time, so that no KOH is lost and only water is needed to keep the system running perfectly. Bob’s system is so very like that used by Stanley Meyer that it might be expected that the unit should run on pure water. However, that is not so. If pure water were used then the system would need high voltage to achieve this rapid breakdown effect. With an electrolyte solution, the water-splitting takes place at much lower voltage. It should be remembered that Stan Meyer used 5 volts at 2 amps for his demonstration to Admiral Sir Griffin at the British Admiralty, anf the result was described as ‘large volume of gas’. Please remember that Potassium Hydroxide attacks ‘Lexan’ plastic (Polycarbonate) but is ok with PVC and acrylic. Sodium Hydroxide (NaOH ‘lye’) can be used with Lexan. # Winding the Transformer (from D9.pdf updated 0ctober 16,2007): The transformer in Bob’s system is a very important component. It is an inductor, a transformer, and a source of energy-form conversion, all roled into one. The transformer has been successfully duplicated and used by others, driven with Bob’s triple oscillator board, to achieve a resonant drive to the cells which results in a performance which is well beyond the maximum stated by Faraday. The reason why there are no step-by-step instructions for constructing the transformer is because it must be wound to match the load/impedance of the cells it will be driving. There is no ‘one-transformer-fits-all’ solution for this. Bob uses a powdered iron core of 6.5″ diameter for units up to 100 cells. The larger the diameter, the greater the power. Ferrite is fine for lower frequencies, but for this application, a powdered iron toroid core is essential. The MicroMetals core, part number ‘T650-52’ is a suitable core. Of paramount importance with the toroid is that unilike traditional transformer design, the secondary is wound first, and the windings must be evenly spaced where they fan out from the center of the core. This means even though they are tightly packed right up against one another at the center hole, they must not be wound so that they bunch up and gap open around the periphery. Mistakes here will cause field errors that will lower the overall efficiency. As you can see here, Bob uses short lengths of plastic strimmer cable as spacers for the outside of the toroid, though the picture above has been taken to show that a partially prepared secondary winding looks like when its windings are being moved into very accurate positions. 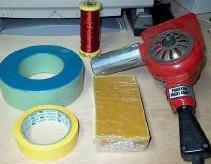 When the windings are completed, correctly spaced and encased in beeswax, each layer is finished off with a layer of tape. For the majority of systems, the secondary winding is a tightly wound, single layer, full-fill wrap of 16 gauge, single-core, silver-plated, teflon-insulated copper wire. There will be about 130 turns in this winding, needing a wire length of about 100 feet (33 meters). Count the exact number of turns in your actual winding and make a note of it. This secondary winding is held in place with melted beeswax, and when that has hardened, the winding is then wrapped tightly with a good quality glass tape. This makes a good base for the primary windings which will be wound on top of the tape layer. Please note that every winding starts by passing over the toroid, proceeds in a counter-clockewise direction, and finishes by passing under the toroid. Every winding is created in this way and the quality of workmanship is very important indeed when making these windings. Each winding needs to be tight and positioned exactly with turns touching each other in the center of the toroid and positioned on the outer edge with exactly equal spaces between each tuen. Your construction work has to be better than that of a commercial supplier and needs to reach the quality demanded by the military, which would cost thousands of dollars for each toroid if it were to be made up for you by professionals. This is were the gentic information ends. The exact details of the primary windings must be determined from the operational characteristics of the cells. This means that you must build, cleanse and condition your cells prior to making the operational measurements. From those measurements, calculations can be made to determine what gauge and how many turns of solid-core, silver-plated, teflon insulated, copper wire are to be used for each of the three primary windings. The objective here is to have the complex waveform generated by the electronics produce voltages of about 25% of the main power supply voltage at the electrolyzer. In other words, if an inverter is being used and its output rectified to produce about 160 V of pulsing DC, then the toroid tranformer secondary should generate about 40 Volts. The output from the electronics board is about 13.8 Volts when driven by a vehicle’s electrical sysstem, so to step that up to about 40V requires a step up of 2.9, which means that the secondary winding needs to have 2.9 times as many turns in it as the primary winding does. So divide the number of turns in youor secondary winding by 2.9 to calculate the number of turns in each of the three primary windings. If you had 130 turns in the secondary, then there would be 45 turns in each of the three primeray windings. Normally, the diameter of the wire used in the primaries will be greater than that of the secondary because it will be driven by a much lower voltage and so will need a much higher current, but that is not the case here. Now that you have cleansed and conditioned the plates in your electrolyser, power up your inverter with your vehicle engine running at 2000RPM or so and measure the Dc current taken by the inverter. This is the level of current which the primary windings have to carry, so the wire size can be selected from this measurement. Each primary winding is pulsed, so it is not carrying current all of the time, also, the final primary current is the sum of the three pulsing signals, so a reduction can be allowed for that. While the wire diameter for the primary windings of each toroidal transformer need to be calculated separately, a common diameter turns out to be AWG #20 (21 SWG). 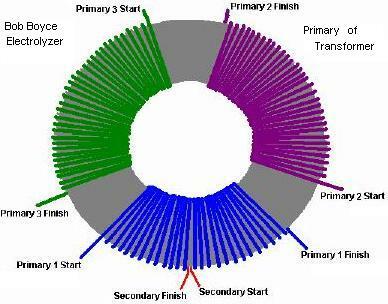 The wire length for the primaries will be greater per turn as the turns are now being made over the secondary winding. Forty-eight turns of #20 wire are likely to require at least thirty-five feet (12 meters) and that for each of the three windings, assuming that all turns can be laid flat side-by-side. If it is necessary to make each a two-layer winding, then the wire length will increase further. Please note that the diagram above does not show the low-pass filters needed in the power supply lines to control electromagnetic interferences. The vehicle electrics of battery and alternator, produce about 13.8Volts when the vehicle engine is running. If all is well and the contact-breaker (or fuse) is not tripped, the electrical power passes through to the gas-pressure switch mounted on the electrolyser. If the gas production rate is greater than the engine requirement and as a result, the gas pressure inside the electrolyser gets above 5psi, then the gas pressure switch disconnects the electrical supply which in turn, cuts off the generation of more gas until the pressure inside the electrolyser drops again as the engine uses the gas. … The inverter output is 110Volts AC so it is passed through a diode bridge which converts it to pulsing DC with a peak value of about 155Volts. This voltage and the output of the electronics board toroidal transformer are passed to the electrolyser to electrolyse the water and generate hydroxy gas. (from ‘D3.pdf’, updated October 31,2007) The output waveform from Bob Boyce’s triple-pscillator board is sharpened up by the use of carefully chosen opto-isolators, and that output would almost certainly drive Dave Lawton’s Meyer replication Water Fuel Cell. It would also be interesting to see if it has the same effect on battery recharging as the John Bedini pulse-charging circuits, as it is distinctly possible that it has. You will notice that Bob defeats the Faraday maximum output by careful construction of the electrolyser, plus one apparently simple electronics board and one apparently simple transformer. Again, these components call for very careful, high-quality construction as is common for most successful free-energy devices. Serious warning needs to be given here. The combination of sharp pulsing and accurately wound toroid core composed of an iron powder matrix, draws in so much extra power from the environment that it is essential that it is only used with the electrolyser cell which is capable of soaking up excess energy surges. The extra energy drawn in is not always constant and surges can occur which can generate currents of 10,000 Amps. It should be understood that this electrical current which we can measure is only the ‘losses’ part of the real power surge which is in a form which we can’t measure as we have no instruments which can measure it directly. Consequently, the actual environmental power surge is far, far in excess of this 10,000 Amps. It is very important then, that the electronics board and toroidal transformer are NOT connected to other equipment ‘to see what will happen’. Even more important is not to arrange a pulsed, rotating magnetic field in the toroid by sequential pulsing of coils spaced around the toroid. These arrangements can generate power surges so great that the excess power not soaked up by the circuit (especially after it’s instantaneous burn-out) is liable to form the ground-leader of a lightning strike. Bob experimented with this and was hit by a direct lightning strike. He was very lucky to survive being hit and he now works in a worshop which has metal walls ans roof, and lightning grounding at each corner of the building, plus a separate ground for the equipment inside the building. A device like this is not a toy, and it demonstrates the incredible level of free-energy which can be tapped by quite simple devices if you know what you are doing.